Christmas! A great opportunity to learn a new range of vocabulary and even better, through fun games and activities. Ideal for early learners or for students with speech and language needs. 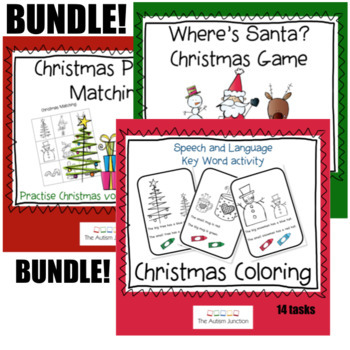 The printables included in this bundle are easy to use and set up. They cover a range of work suitable for 1:1, independent work areas and larger groups. We hope you enjoy using this product…… Merry Christmas!